Today's best cameras can record more light than we can see with out eyes. 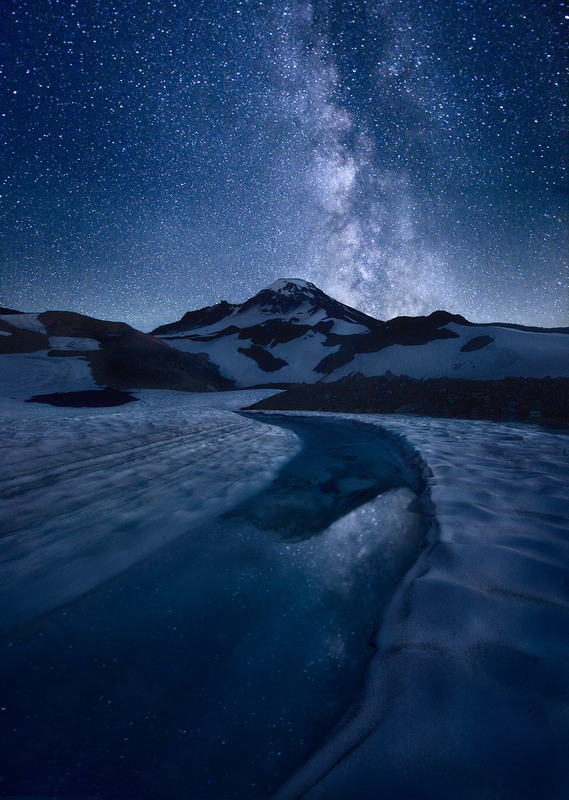 Here I used it to render the Milky Way over Oregon's South Sister peak and its reflection in a crack in the ice of a lake just starting to melt out in summer. The image was made from a remote backcountry location near the Chambers Lakes.